« PJ Harvey to Stream Halloween Show Live. Have you ever heard an album well after it was released and wondered “How did I miss this one? This is right in my wheel-house.” No, I’m not talking about an artist that does not get any recognition. It happens all the time with them, some of them are even new acts. It’s easy to get turned onto them the first time years later. I’m talking about an artist that gets a nice amount of play, is on radio and in this case, even performed one of these tracks on late night TV. Well, the “better late than never” syndrome hit me on this album. I’m talking about The Little Willies. Yeah, they’re not a house-hold name, but one of their members is. That would be the talented Norah Jones. I’ll admit, my record collection was never filled up with Norah’s music, but she’s always been someone I respected and when she’d release something new, I’d usually take a peek at it. The Little Willies, sorry, this totally was a new one on me. 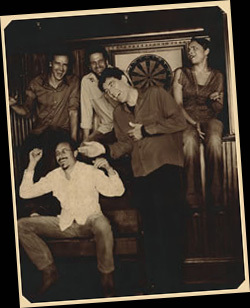 Our website, Cool Album of the Day, was one of the websites that streamed the Bridge School Benefit Concert last weekend. You know this one, this is the project founded by Neil and Pegi Young. 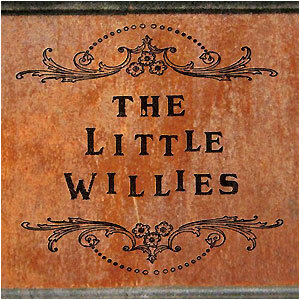 The Little Willies were one of the early acts to appear. I was completely blown away by their set. During it, Norah explained how the band originally began as a Willie Nelson cover band. They got a nice following and were stuck with the name. 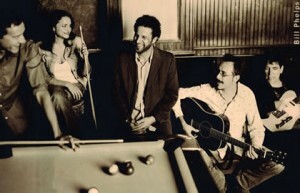 They were a little bit swing, a little bit gospel, a little bit country and a little bit rock and roll, so to speak. This took me to the internet so I could immediately find more information about this band. I found out that their album was self-titled and released in 2006. The original songs here are as strong as the classics. Guitarist Lee Alexander brings a nice slower shuffle song that features Norah on vocals called “Roll On.” “Easy As The Rain” slows it down a little more. We end the fun with a song written by Alexander, guitarist Richard Julian and Norah entitled “Lou Reed.” You’ll like it, so will Lou. If this was a 2011 release it would be in my running for album of the year.